BUKIT JALIL, 8 Nov – National applied research and development centre MIMOS can play an important role in the development of third national car envisioned by Prime Minister Tun Dr Mahathir Mohamad. International Trade and Industry (MITI) Minister Datuk Darell Leiking said the third national car project can create new jobs and promote vendor development in automotive parts and components. “In today’s job market, there is already demand for new posts such as data scientists, data forensic specialist and so on. Traditional means of doing things have been changed. For instance, in Silicon Valley, we can observe and study how digital farming is done. A tech start-up called Finless Foods has started to grow fish in a lab using cellular agriculture technology. “In the case of Malaysia, while some may have their reservations, we should see Third National Car in the context of a big picture. It can generate new jobs, vendor development in automotive parts and components including electric vehicle batteries and spur data collection and processing which could be useful for other related industries. 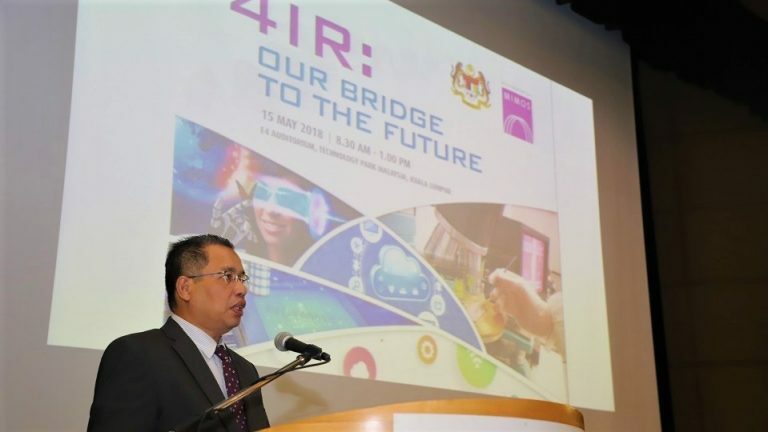 “Together with the Malaysia Automotive Institute, MIMOS can play an important role in this development, perhaps among others, to improve vehicle performance such as by creating systems to avoid accidents or hazards,” Darell said in his keynote speech at the Fourth Industrial Revolution (4IR): Empowering the Future seminar. His speech was delivered by MITI Deputy Secretary General (Trade) Datuk Norazman Ayob. The minister said there was also Blockchain, which could revolutionise how international trade is conducted to generate greater confidence in consumers. Hosted by MIMOS, the seminar was a part of an awareness programme, which is one of MIMOS’ strategies as 4IR Advisory Agency and Strategic Government Centre of Excellence, in welcoming opportunities, and addressing the risks and challenges of the industrial revolution. Darell said that the seminar was an excellent platform for promoting technology-based technical and vocational skills as a game-changer in producing competent, industry-ready graduates for the future. “We need to continue adding value to Malaysia’s exports by empowering our industry with globally-competent technology, at the same time developing a new breed of human capital who are futureproof and 4IR-ready. “I look forward to MIMOS’ continued contribution to trade and industry; not just in the traditional sectors of E&E, which you have contributed to significantly for many years, but also in other areas where there’s always need for new technology applications,” he said. MIMOS chief executive officer Ahmad Rizan Ibrahim said: “As a member of the MITI family, MIMOS now commands a more strategic position over the vast potentials and possibilities that lie within 4IR. We are now a step closer to industry, which will hopefully facilitate our delivery of direct value to strategic sectors, startups and entrepreneurs. “MIMOS can help industry gain more advantages in the value chain, not only through 4IR technology applications but also in specialised talent development, which can make a critical contribution to their supply chain strategies,” he said. Speakers at the seminar included MIMOS Senior Staff Researcher Ir Dr Hafizal Mohamad; World Startup Festival Regional Director, Fazil Irwan Som; SG Education Group Founder and Chairman, Dato’ Sri Ganes; Human Resources Ministry’s Centre for Instructor and Advanced Skill Training (CIAST) Senior Programme Coordinator, Dr Aziyati Yusoff; Naluri Hidup Founder Azran Osman-Rani; and Nadi-Ayu Technologies Chief Executive Officer Nadira Mohd Yusoff.